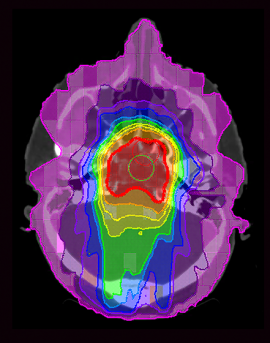 In the study a team of international scientists, headed by senior author Jean Nakamura, MD, of UCSF, conducted an analysis of tumors in mice that were caused by both exposure to radiation and genetic mutations. The researchers compared the prevalence of cancer in normal mice to those with a mutation in the Nf1 gene, which encodes a tumor-suppressing protein called neurofibromin. Children born with mutations in this gene have neurofibromatosis 1, a condition that predisposes them to tumors. In order to parallel the effects of radiation therapy on pediatric patients, young mice underwent focused radiation targeted to the abdominal wall. The dosing was similar to that received by patients. After radiation the Nf1 mice harbored more tumors and had shorter lifespans than the normal mice. The scientists sequenced malignancies from 19 mice, of which 15 tumors occurred in Nf1 mice and seven in normal mice, and identified common mutational signatures, irrespective of tumor type and genetic background. The researchers looked at sarcomas, tumors usually arising from muscle or bone that are common secondary malignancies, and found that those of the Nf1 mice had fewer changes in DNA sequence than the normal mice. They also found that the cancers of the Nf1 mice were significantly more likely to have lost large segments of individual chromosomes compared to the normal mice. These findings indicate that germline mutations in Nf1 influence the numbers and types of genetic alterations found in tumors. Nakamura and her colleagues now are analyzing radiation-induced malignancies from pediatric patients for the mutation patterns they discovered in the mice.